Measurement of serum acetaminophen-protein adducts (APAP-CYS) has been suggested to support or refute a diagnosis of acetaminophen (APAP)-induced hepatotoxicity when ingestion histories are unreliable or unavailable and when circulating APAP concentrations are low or undetectable. Non-APAP overdose patients commonly have used APAP products in non-toxic quantities and, thus, will have measurable APAP-CYS concentrations, even when hepatic injury results from other causes, such as ischemic hepatitis. 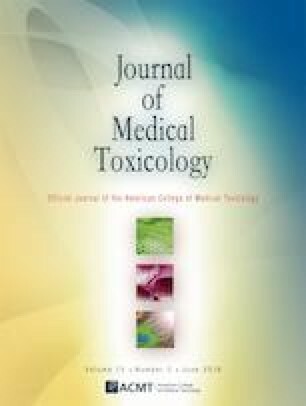 The relationship between alanine aminotransferase (ALT) activity and APAP-CYS concentration might assist in distinguishing between toxic and non-toxic APAP doses in patients suspected of drug overdose. We measured serial levels of serum APAP-CYS and ALT activities in 500 overdose patients in whom APAP toxicity was suspected on inpatient admission, but who were then classified at time of discharge and before results of APAP-CYS concentrations were available into three groups: 1) definite APAP group; 2) definitely not APAP group; and 3) indeterminate group. Subjects in the definite and definitely not APAP groups were selected in whom a plasma ALT activity was measured within ± 4 h of a serum APAP-CYS concentration. Regressions with correlation coefficients between APAP-CYS and ALT were calculated for repeat measures in the 335 subjects (908 blood samples) in the definite APAP group and 79 subjects (231 samples) in the definitely not APAP group, with an emphasis on APAP-CYS concentrations and calculation of 95% prediction intervals when ALT was ≥ 1000 IU/L. A strong correlation was found between APAP-CYS and ALT in the definite APAP group over all ALT activities (r = 0.93, p < 0.001; N = 335), and when ALT was > 1000 IU/L (r = 0.82, p < 0.001, N = 144). In the 79 definitely not APAP subjects, no significant correlation was found when ALT exceeded 1000 IU/L (r = 0.04; p = 0.84, N = 32). All subjects in the definitely not APAP group displayed APAP-CYS concentrations < 3 μM. In definitely not APAP subjects, the great majority of APAP-CYS levels were below the 95% prediction interval for APAP-CYS concentrations in definite APAP group subjects when ALT was ≥ 1000 IU/L. However, some definitely not APAP group subjects who had ingested non-toxic doses of APAP displayed APAP-CYS concentrations as high as 2.8 μM in the face of ALT elevation from ischemic hepatitis. The interpretation of serum APAP-CYS concentrations must always be made in light of detailed clinical information and the population being tested, especially because of some overlap in APAP-CYS levels in subjects with and without APAP toxicity. This investigator-initiated study was supported, in part, by a grant from McNeil Consumer Healthcare. Dr. Curry, Dr. Jaeschke, and Dr. Wilkins have had research activities supported by grants from McNeil Consumer Healthcare.